Victoria at This Coffee Flavored Life created this awesome Infographic to remind you that if you follow me via Google Reader, you will need to import your feed to Bloglovin'. Just create an account on Bloglovin' and follow the instructions above and you will be all set! Hurry! 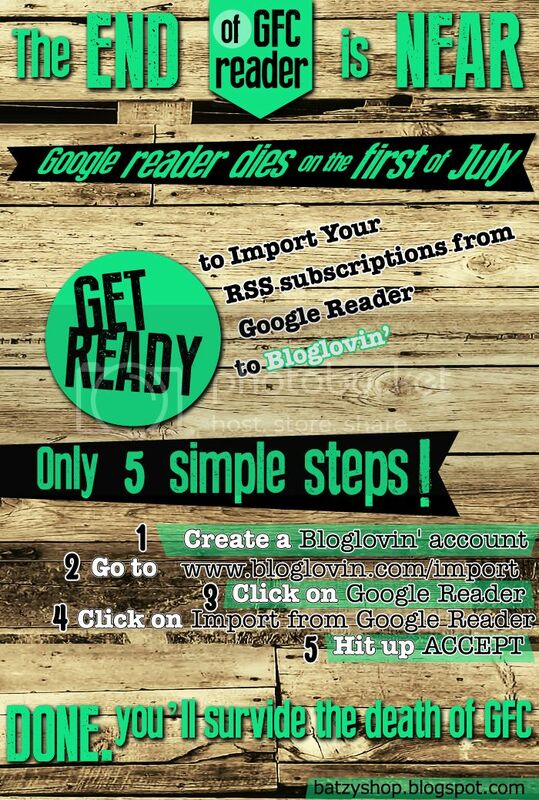 Google Reader goes bye bye on July 1!